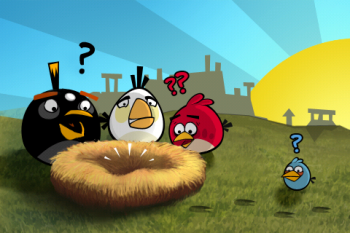 Rovio seeks low tax rates, may leave Finland. It's not the call of the wild; it's the siren song of the tax dollar. Mikael Hed, Rovio Mobile's CEO and one of the three-man management team behind Angry Birds, has confirmed, in an Irish Times article, that the company is thinking of pulling up sticks and moving from Finland to Dublin. Nothing is written in stone, but Hed did say that the Irish authorities had made a very persuasive offer. Though Hed didn't go into great detail, the fact that Irish corporation taxes - at 12.5% - are about half the rates he'd expect to pay in Finland, will be a significant factor in Rovio's decision. Some companies prefer to relocate their main offices, leaving their operations people in place, when relocating for tax purposes, but Hed did say that, if Rovio moved, some of its production crew would also end up in Ireland. Currently, Rovio employs about 400 people, most of them in Finland. "For now we have stayed in Finland," Hed said to the Times , "but [relocation] is on top of our minds." If it does happen, it'd be as much a boon for Ireland as it is for Rovio. The Celtic Tiger really hasn't been doing that well on its austerity diet, and the country has been struggling to create professional jobs. The Irish Government has been trying to boost prospects by talking up its gaming cred, with the hope of doubling its game industry by 2014. A Finnish import would be a great boost to their bottom line, particularly if Rovio relocates production jobs as well as their head office. Monty Python may have preferred to be in Finland, but will the Finns? When Rovio was just a fledgling, that 24.5% Finnish corporation tax probably didn't seem such a big a deal. Their profits have exploded since then, like a Blue Bird seeking bacon, and what was a relatively small nest egg has become a €75 million - over US$94 million - turnover, as of last year. Losing nearly a quarter of that to the government can't be fun. No wonder a home on the banks of the Liffey looks enticing!